In the fullness of time God sent forth His Son. The Apostle John, who describes himself as the apostle that Jesus loved, gives an account of the birth of Christ that is straightforward and factual." 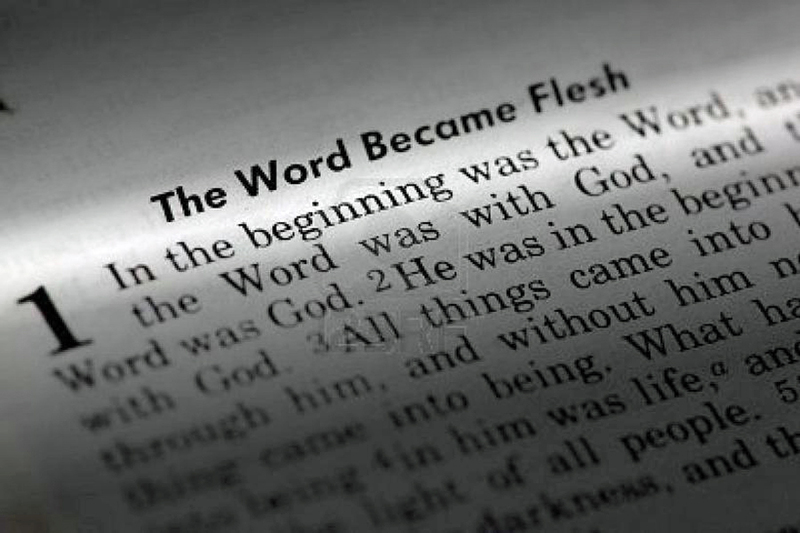 The word became flesh and dwelt among us". The event had been planned before time itself ever began. When the first man, Adam and his wife, Eve, disobeyed God and chose to believe the word of the serpent, the devil, instead of believing and trusting in the Word of God, God gave them a promise of the coming Redeemer. You can read that account in the third Chapter of Genesis. The historical account of man's disobedience of God which brought about death into the world was followed by the historical account of God's promised Redeemer. He was the hope of all mankind. For He was to be the Redeemer of all those who would come to him. Emmanuel! God with us! The Word of God! He is Jesus, who would save his people from their sins." 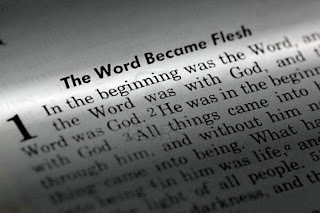 The Word became flesh and dwelt among us". The factual simplicity is simply magnificent. It is so magnificent that God's Holy Angels had gathered in great anticipation of the fulfillment of this great revelation. The Angels were looking over the pulpits of heaven, as it were, to see this great revelation that was coming to pass. Jesus is the light of the world. He is the fulfillment of the long-awaited promise to the people who walked in darkness. They were to see "a great light". In Him was life and he enables all who come to him and surrender their will to him and place their trust in him alone for their salvation to have life eternally. They even become "the light of the world" also. The world around us is becoming increasingly dark. Evil seems to have been released and is going forth to deceive the nations. Truth, indeed, seems to have fallen in the streets. Lying, cheating, deceiving, murder, intimidation, disobedience to parents, enticements to sexual immorality, both heterosexual and homosexual abound, and in short, the rampant promotion of all things ungodly, is seemingly occurring right before our eyes! The Word who became flesh is the answer, indeed, is the ONLY ANSWER, to all of this ungodly behavior. Jesus came not to condemn the world but to redeem the world. He came to seek and to save each and every person who was lost and to give his life as a ransom for them and, indeed, for many. The Bible says that "He bore our sins in his own body on the tree that we might be dead unto sin and alive unto righteousness and with his stripes we are healed". We live in perilous times. Jesus himself said to "take heed that you be not be deceived". In this perilous time, when so much seems to be upside down and all around the world evil seems to have been loosed, Jesus remains the hope of the entire world. Jesus is the same, yesterday, today and forever! He changes not! While there are people who do not believe this message, nor do they agree with it, Jesus bids everyone to "come unto Him". "Flee the wrath to come". Have you come unto him? Have you surrendered your will to the Lord Jesus in true repentance? Have you placed your trust in Jesus alone for your salvation? If not, do so. Remove yourself, figuratively, from these perilous times by placing yourself in the safekeeping of Jesus. While the world grows increasingly darker, Jesus is the long promised "light of the world". The prophet Isaiah, writing as God had directed him to write, more than 700 years before the birth of Christ, stated that "the people who walked in darkness have seen a great light". Light expels darkness and enables all who walk in the light to see the truth. Jesus is the true light that lights everyone who comes into the world! He calls unto everyone to come to him by true repentance from their sin and saving faith in the Lord Jesus Christ. Repentance, and faith, are shear gifts from God himself. Indeed, one cannot conjure up faith, nor repentance. If you have never surrendered your will to the Lord's will, and placed your trust in Jesus alone for your salvation, or, if you know someone who has never surrendered their will to the Lord's will, nor placed their trust in Christ alone for their salvation, pray to the Lord God and ask him to give "repentance unto life" and "saving faith in the Lord Jesus Christ alone". He will do so. He has promised that if we ask we shall receive; if we seek, we shall find; if we knock, it shall be opened unto us. Resolve, in your heart, to be a messenger of this glorious Gospel of Jesus Christ. Be a peculiar person! Be zealous to tell others of Jesus who is mighty to save. He gave his life, a ransom for you! Would you give your body and your life to him, to live as becomes the Gospel of Jesus Christ? You can do this by the Grace of God through faith in the Lord Jesus Christ because "the Word became flesh and dwelt among us!" As we remember and celebrate once again God's unspeakable gift, it is my prayer, as the Apostle Paul prayed, "that the God and father of our Lord Jesus Christ, the father of glory, would give unto you the spirit of wisdom and revelation in the knowledge of him; that the eyes of your understanding would be enlightened; that you may know what is the hope of his calling, and what are the riches of the glory of his inheritance in the Saints. I pray that he would give you what is the exceeding greatness of his power toward us who believe, according to the working of his mighty power which he worked in Christ Jesus when he raised him from the dead and seated him at his own right hand in the heavenly places far above all principality and power and might and dominion and every name that is named not only in this age but also in that which is to come. I pray also that he would grant unto you according to the riches of his glory that you be strengthened with might through his spirit in your inner person, that Christ may dwell in your hearts by faith, that you being rooted and grounded in love may be able to comprehend with all Saints what is the width and breadth and depth and height and to know the love of Christ which surpasses knowledge that you may be filled with all the fullness of God! Now unto Him who is able to do exceedingly abundantly above all that we even ask or think according to the power that works in us in the church by Christ Jesus to him be glory throughout all generations, world without end Amen.